Guitarist/vocalist/songwriter Lynnea Scalora gives us a tasty introduction to her brand of alternative rock on this 3-song CDEP. Lynnea's band is a simple trio of herself on guitar, Dave Weinberg on bass, and Chris Carlone on drums, though the band pack a pretty impressive punch. A couple of the reviews that were included in the promo material mention Hole as a comparison, and while I can't say I'm really familiar with Miss Love's band, I think Lynnea rocks mighty hard and even has some interesting guitar moments that Aural Innovations readers might like. Lynnea has a decent singing voice and I like her semi-dissonant, slightly anguished style. "The Big Machine" and "Straight To The Heart" are both basic rock songs but with varying guitar patterns and a heavy rocking but somewhat trippy sound. "Hammer To Stone" starts off like it's going to be a sappy pop tune but launches into a fiery rocker with blazing guitar chords and ripping whining notes. 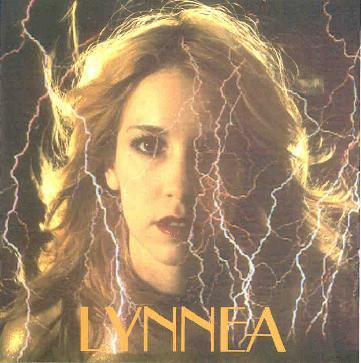 Hard to draw conclusions from only three tracks but Lynnea can rock out and if there's more like "Hammer To Stone" than I'd be keen to hear it. For more information you can visit Lynnea at her web site. You can hear song samples at Lynnea's Mp3.com web site. Contact via snail mail c/o Lynnea; 63 East 2nd St; Brooklyn, NY 11218.